For nearly 50 years, Beatitudes Campus has offered rewarding careers to caring, compassionate individuals who are driven by the opportunity to serve others. Beatitudes Campus is the place for North Central Phoenix seniors to live, learn and grow within comfortable, caring neighborhoods situated in a thriving faith-based community. 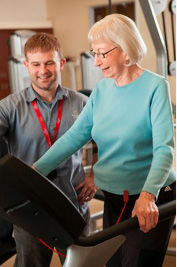 Our independent living options provide residents with an active lifestyle that's free from worry. Our home care services and assisted living offer additional support to those who need it. As a Life Plan Community, we offer a full range of health services such as skilled nursing, rehabilitation services and dementia care to meet our residents’ needs. We are looking for energetic and creative individuals who enjoy working with seniors, and feel energized by the ability to serve those in need. If you're compassionate, self-motivated and have a true enthusiasm for life and creating community, then a career at Beatitudes may be the ideal fit for you! Nourish our residents' health and spirit by providing generous service in our Town Plaza. Ensure residents, their guests and family members enjoy a consistent, enjoyable dining experience at each and every meal. Our dedicated skilled pool positions offer a set every-other-weekend schedule with on-call shifts available throughout the week. These are great opportunities for additional income or candidates looking for flexible schedules. Provide non-medical, in-home support services for the comfort and safety of our residents. Develop close relationships by delivering compassionate care and companionship to support residents' physical and emotional needs. "It is rewarding to me to work at Beatitudes because of the gratitude you get from the residents and family for taking care of them. You have to have a big heart. This is a job you cannot just do for the paycheck. The residents deserve employees that are caring and have the passion to do this kind of work."